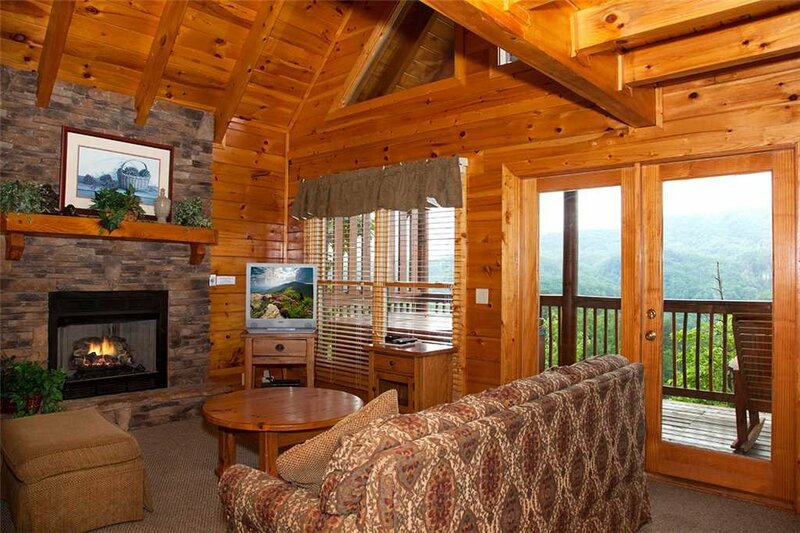 Above the Pines overlooks Mount LeConte, the highest peak in the Great Smoky Mountains. 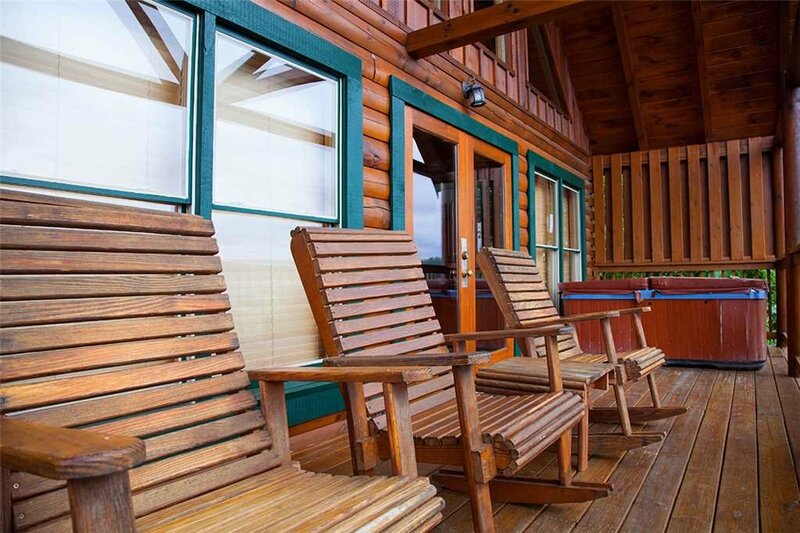 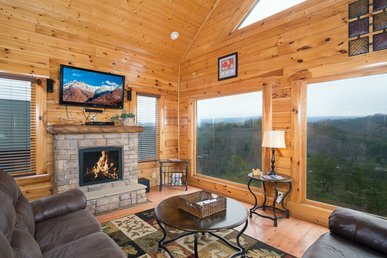 Placed high above the pines in the Sherwood Forest Resort, this two bedroom cabin has majestic mountain views that will leave you awe struck. 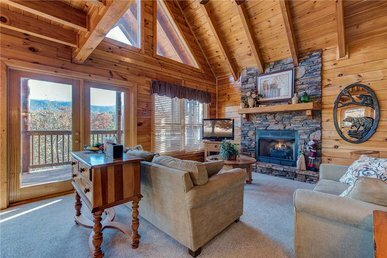 Take a load off in this invitingly decorated getaway with a stacked-stone fireplace, vaulted ceilings and charming furnishings. 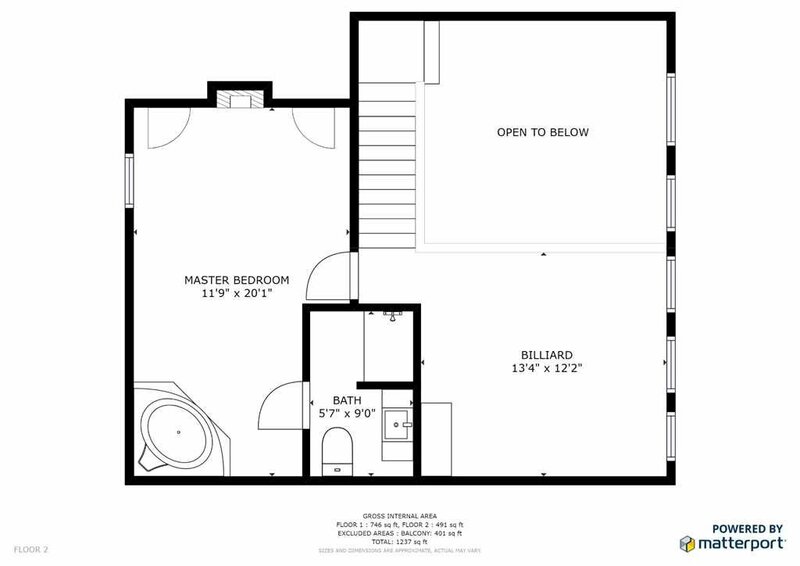 Let the jets of the bedside jetted tub and private fireplace work away your cares in the master suite, which includes a welcoming king sized bed fitted with fine linens. 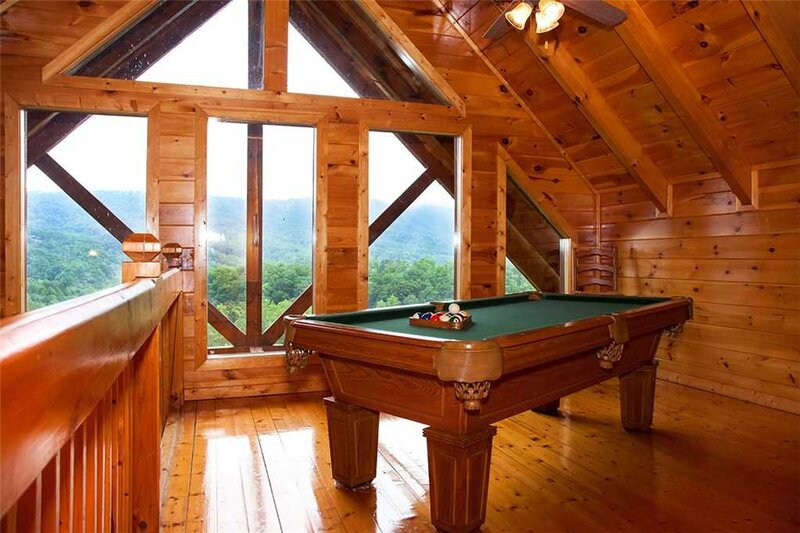 Take a moment to appreciate the stunning view from the windows of the upstairs loftwhile playing a game of pool. 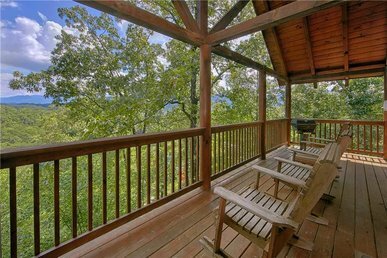 Being above the pines, you can see for miles. 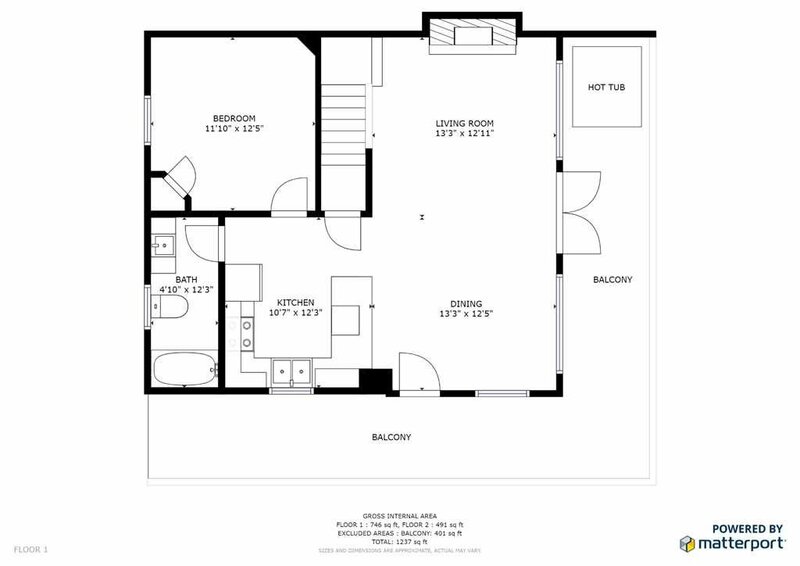 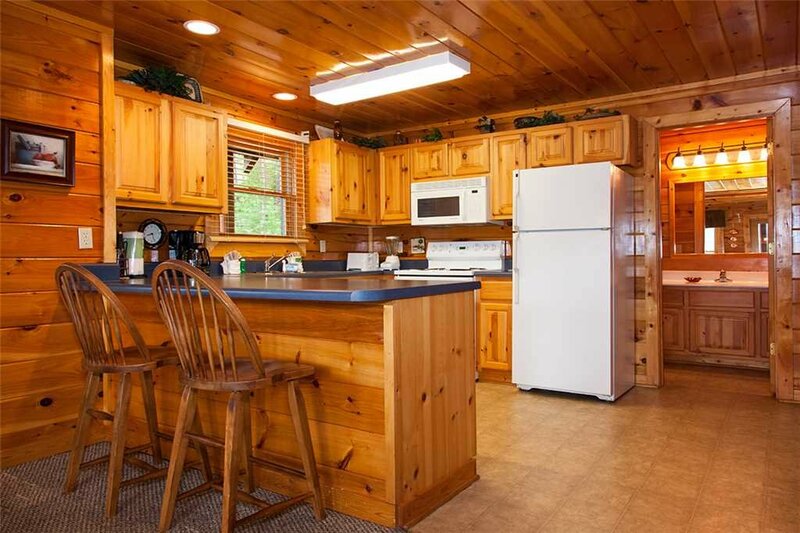 In the luxury kitchen, feel right at home with all the amenities one may need to prepare meals and dine together at the kitchen table that easily holds six dining guests. 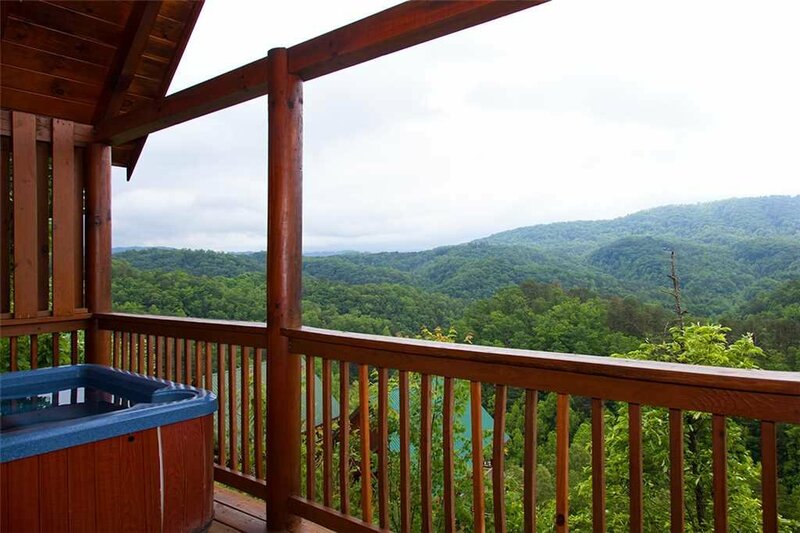 Relax in the hot tub on the deck, or spend hours resting on the wooden rockers on the large deck overlooking the views of the Smokies. 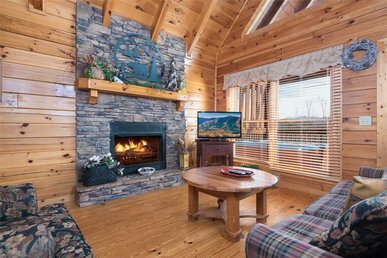 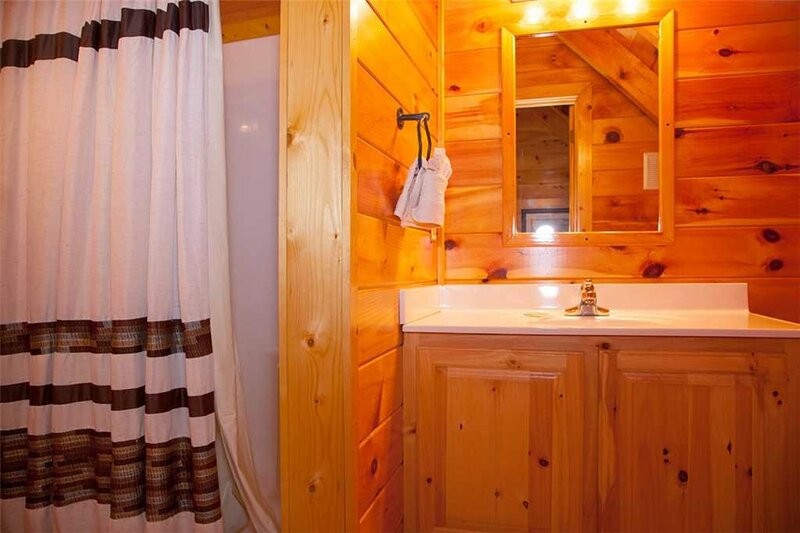 With the location of the cabin close enough to hop into town but far from enough away to feel away from the crowds, you will never want to go home since you have the best of everything at Above the Pines. 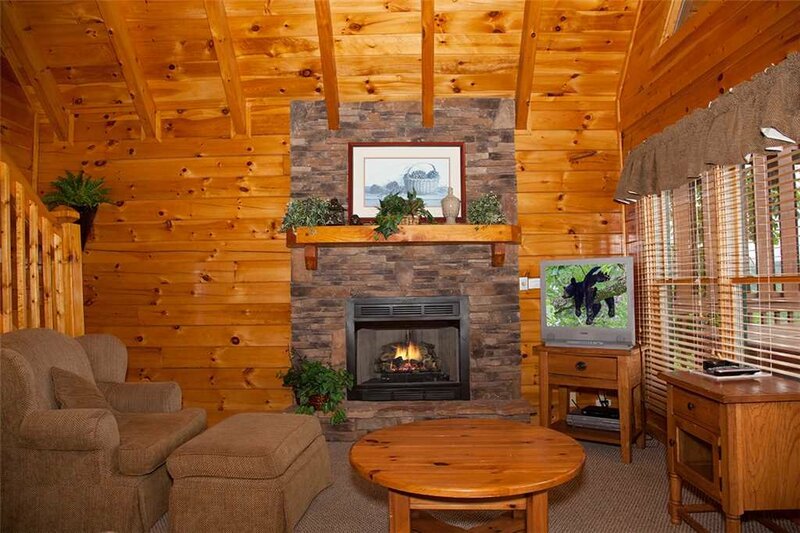 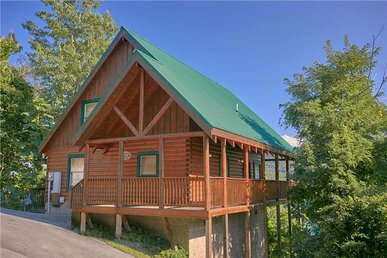 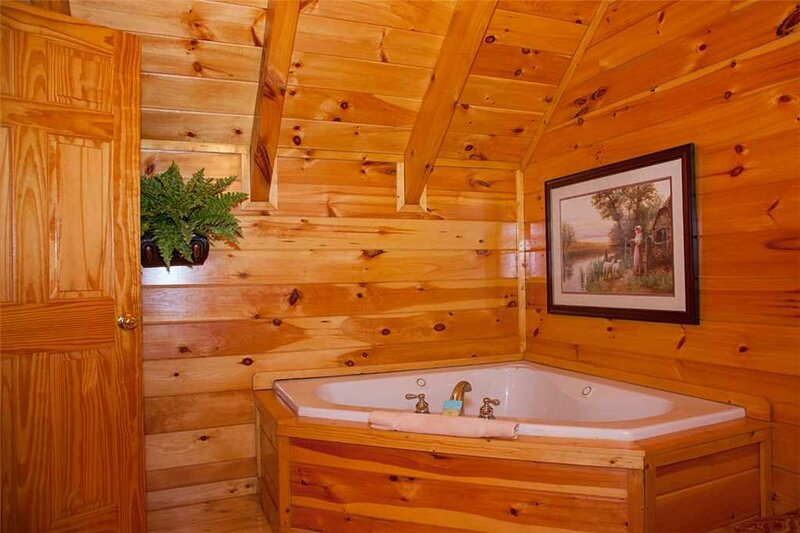 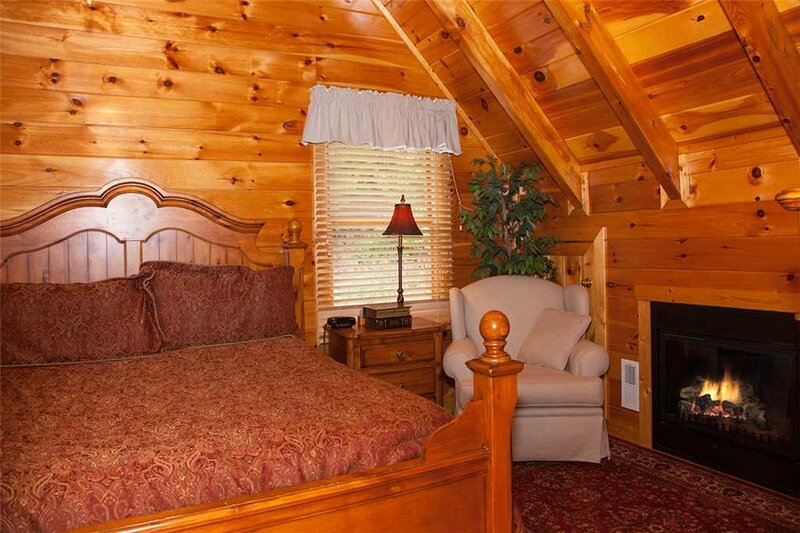 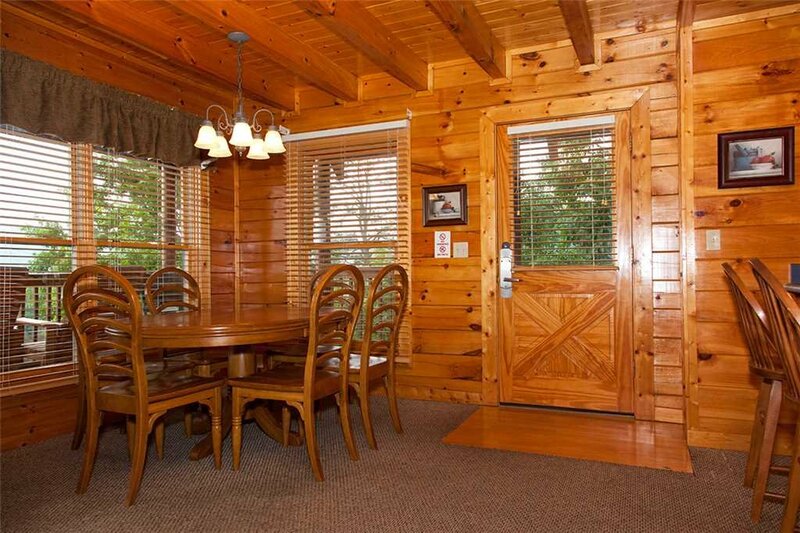 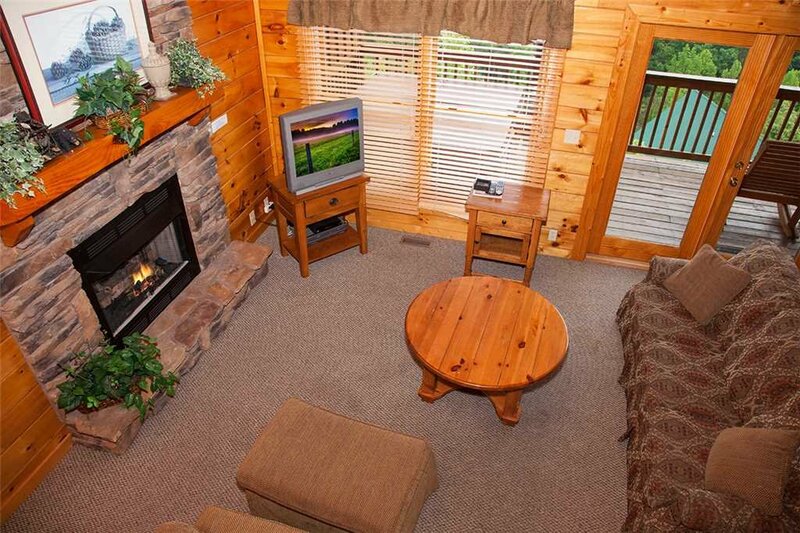 Do not miss out on the mountain charm in this cabin! 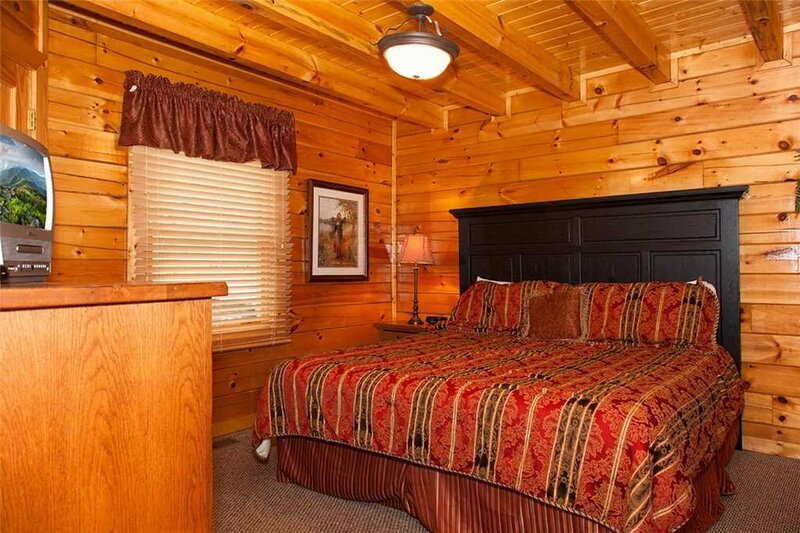 Sherwood Forest Resort is a gated, private community with check-in available on-site. 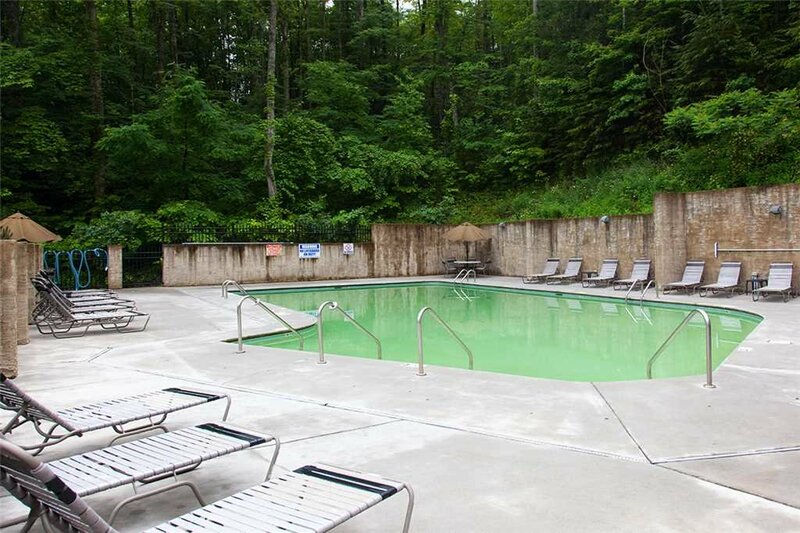 A large seasonal outdoor community swimming pool is available to cool off in. 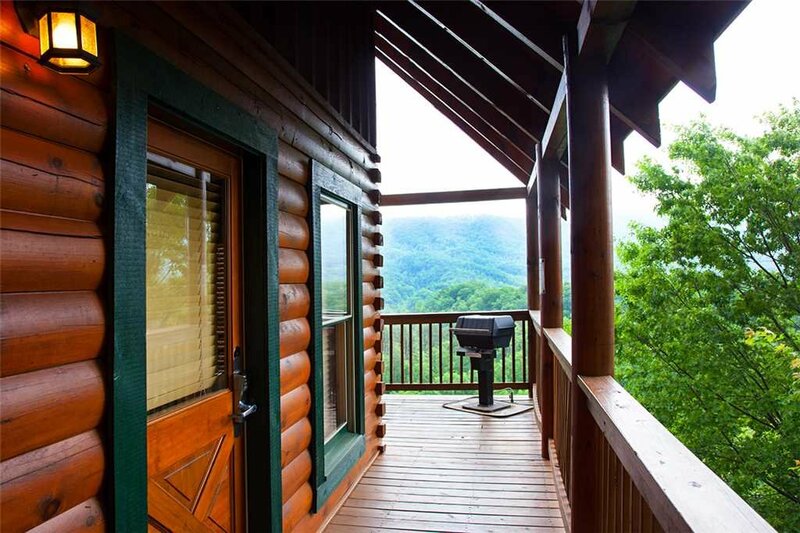 The resort is centrally located to be able to enjoy all the attractions the Smokies have to offer from Sevierville to Gatlinburg. 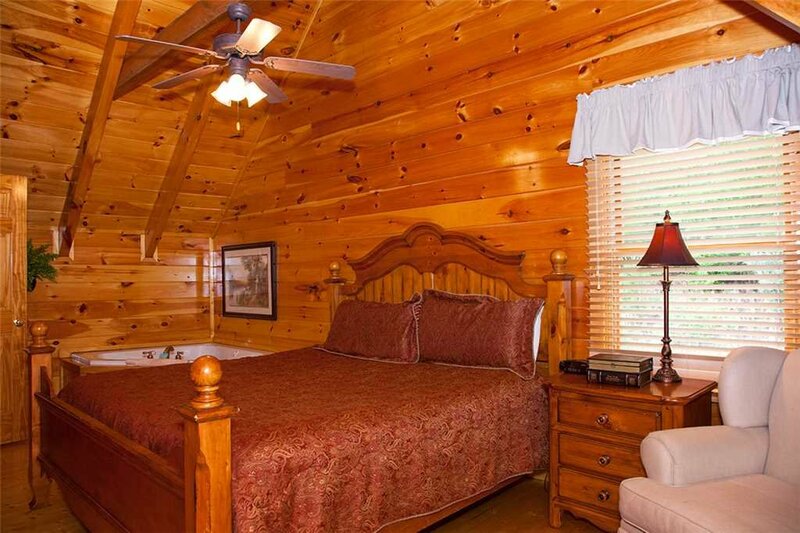 The manicured grounds transition seamlessly into the calming pine forests that surround you. 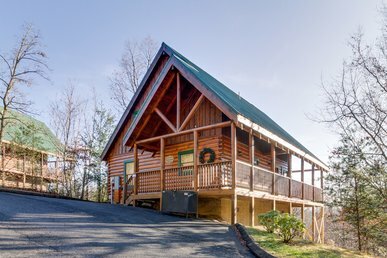 It’s just minutes from the doorstep of Above the Pines to the heart of the Parkway in Pigeon Forge, where your days can be filled with adventure! 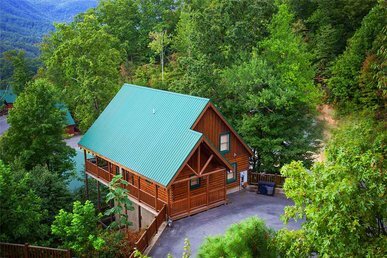 Save a day to check out all that Dollywood has to offer, with rollercoasters to get your heart pumping and Dollywood’s Splash Country for that afternoon cool off. 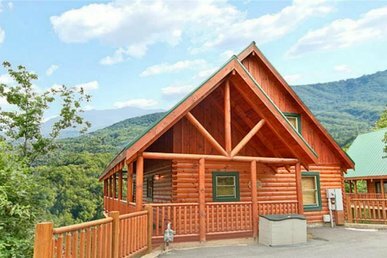 Check out The Island of Pigeon Forge, for your shopping, dining and entertainment for all ages, including the spectacular choreographed lighted fountains. 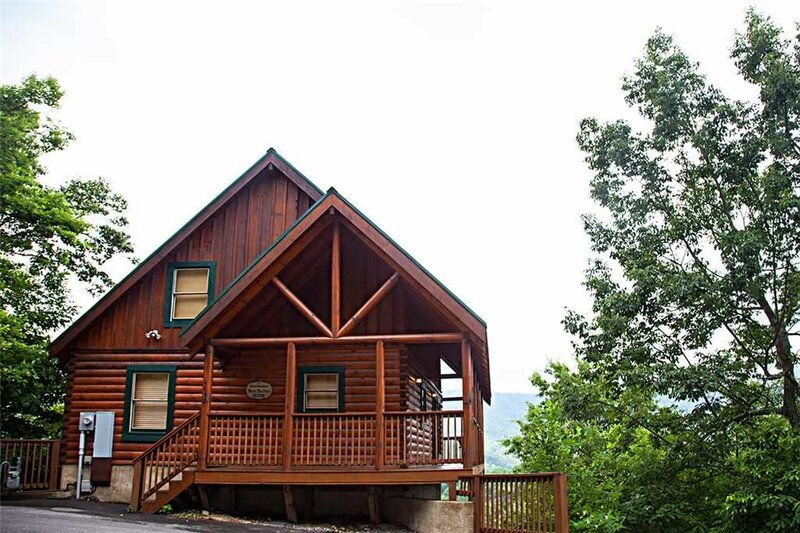 Just a touch further down the road, visit downtown Gatlinburg, with so much to do it can’t all be mentioned! 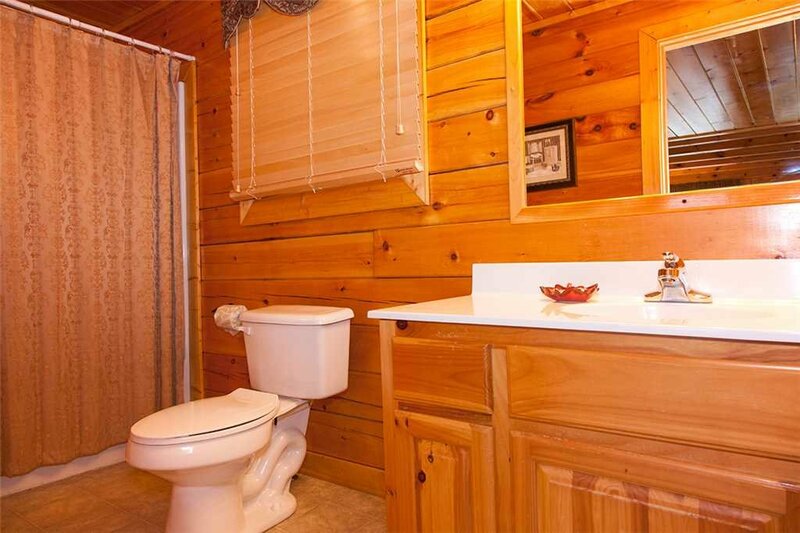 Ripley’s has a variety of attractions sure to please the gang. 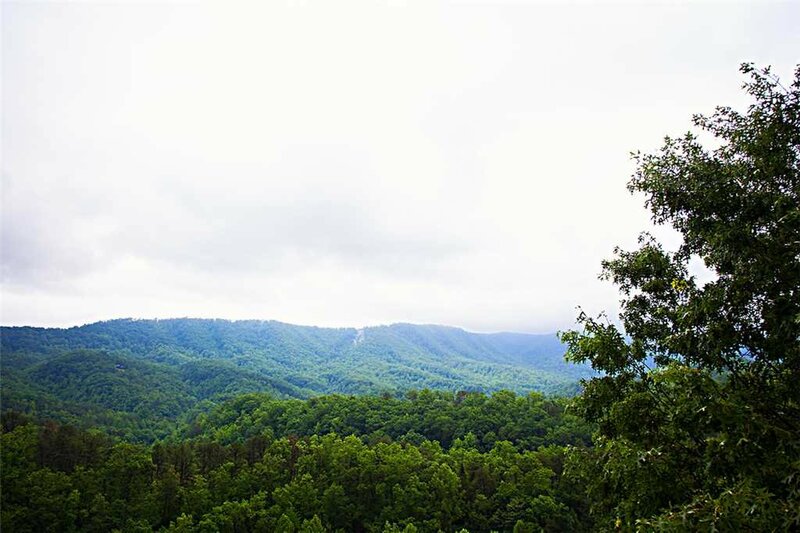 Feel like an authentic ole smoky moonshiner with a stop at the Ole Smoky Distillery, offering free samples of an assortment of flavors. 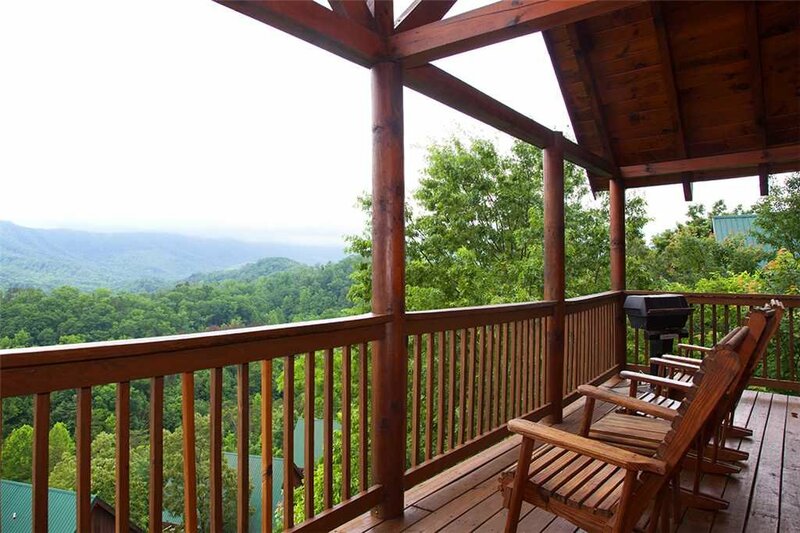 Follow the Rocky Top Wine Trail to visit 5 wineries within 12 miles. 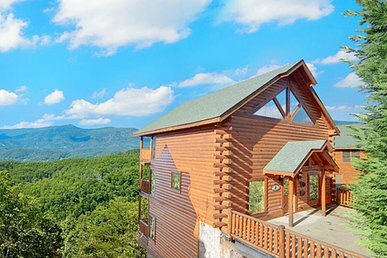 For a view like no other, try out CLIMB Works for a zip line canopy tour, your feet don’t touch the ground for over 2 hours! 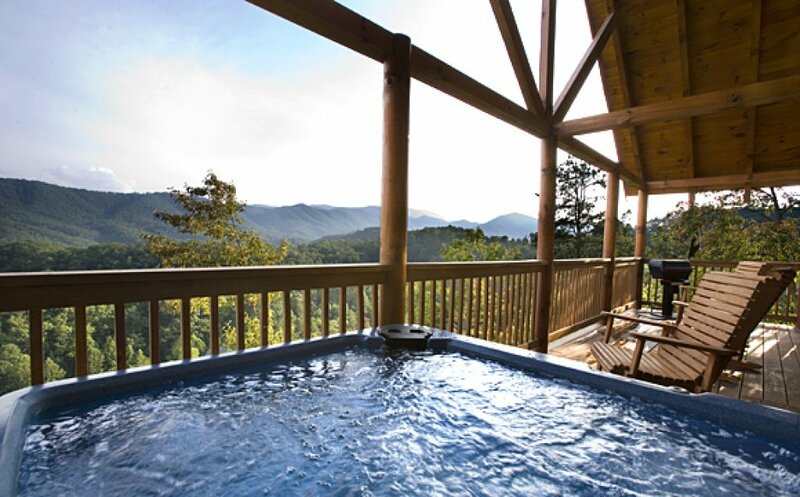 With so much to explore in the Great Smoky Mountains you may not know where to begin. 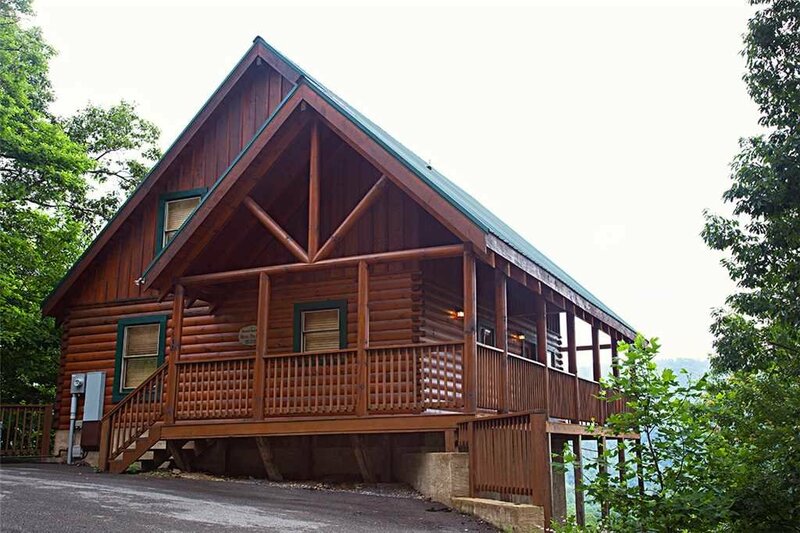 Let the folks at The Wildland Trekking Co. take you out on a day guided tour. 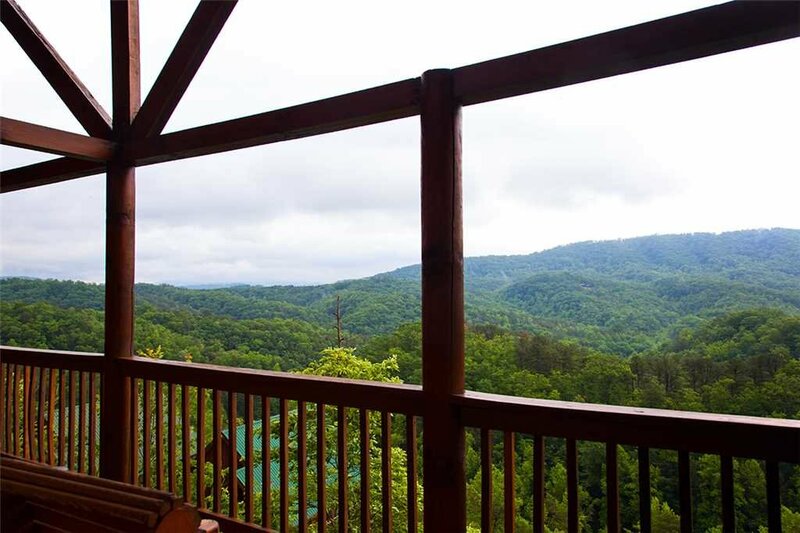 They offer multiple options, locations and time spans for hiking through the wilderness with a knowledgeable guide to advise you the names of wildflowers, trees and animals you may encounter in the Smokies.